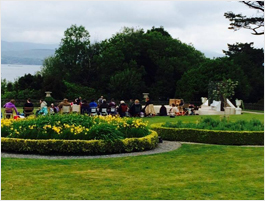 Bantry House and Garden is a stately home situated on the Wild Atlantic Way overlooking Bantry Bay in the south west of Ireland. It houses an important private collection of furniture and objects of art. It has been home to the White family since 1739 and was open to the public in 1946. Today visitors can explore the house and formal garden, have tea in the tearoom or even stay the night in the B&B located in the East Wing. The estate is unique since it is still lived in and managed by the family. 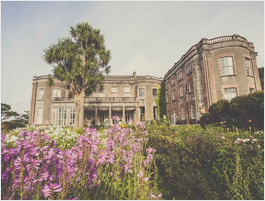 The original design of the garden which dates back to the second Earl of Bantry’s travels can still be seen today. He transformed the house and garden into a “Palazzo” like those he had seen on the continent. This estate is the perfect place for wedding ceremonies and celebrations. Indoor or outdoor, different areas can be used. We can offer you tips, suggestions and recommendations from catering to wedding cakes and everything in between. Click here to see our latest offers on house and garden passes. 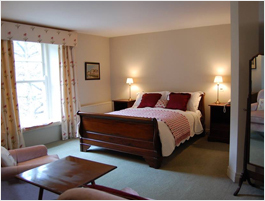 Stay in one of our elegantly restored bedrooms on the East Wing. 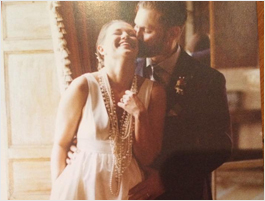 Celebrate your nuptials in unrivalled style, surrounded by your loved ones. 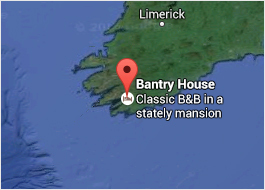 Browse through the upcoming events at Bantry House.